The Neo 101 is Stone's ﬁrst foray into the netbook market. The 10.1-inch screen is bright and crisp thanks to the 1024 x 600-pixel resolution and is suitable for displaying business applications such as spreadsheets and Word documents. There's no shiny screen covering in place, meaning bright light doesn't cause distracting reﬂections. The keyboard is large and very comfortable to use and the keys are well mounted on the chassis, meaning there's little ﬂex. The touchpad sits immediately below it and we found it all too easy to brush the pad while typing, causing the cursor to behave erratically. The chassis is crafted from a matt black plastic and is suitably durable for life on the road. Three hot keys have been included to give quick access to the webcam and also email and internet. 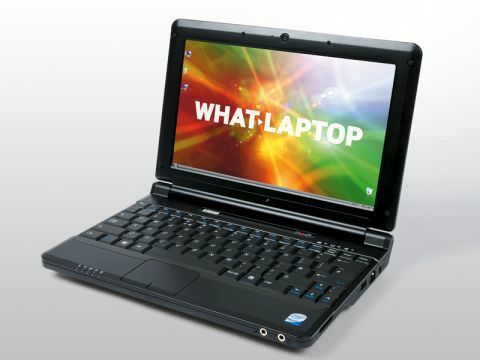 Internally, the netbook boasts the now standard Intel Atom processor, combined with 1024MB of memory. Ofﬁce applications run ﬂuidly, even when various programs were run simultaneously. Nevertheless, thanks to the integrated graphics card, this machine isn't suited to any strenuous multimedia activities such a photo editing or gaming. Portability is good. In-built 802.11b/g Wi-Fi will provide a good internet connection and optional 3G (at £60) enables you to check emails or access the web whenever in range of a mobile phone mast. A battery life of 167 minutes is average for a netbook and provides basic mobility. At 1.3kg, the chassis isn't inconvenient to carry around as you travel either. Rounding off the speciﬁcation are two USB ports, a 4-in-1 memory card reader for reading ﬂash memory and an ExpressCard slot for adding enhancements, such as an infrared module. While the Stone Neo 101 is a largely comfortable and competent machine, it fails to stand out from the crowd in any particular way. Nevertheless, the price is reasonable, and the three-year warranty will attract buyers.